Home Articles What Does “Bible” Mean and How Did it Get That Name? The Bible is the world’s most fascinating book. It is the best-selling book of all time and is widely considered to be some of the finest literature ever written. It has been translated into numerous languages and is the foundation of modern laws and ethics. It guides us through difficult circumstances, gives us wisdom, and has been the foundation of faith for centuries of believers. The Bible is the very Word of God and makes clear the ways to peace, hope, and salvation. It tells us how the world began, how it will end, and how we are to live in the meantime. The influence of the Bible is unmistakable. So where does the word “Bible” come from, and what does it actually mean? The word Bible itself is simply a transliteration of the Greek word bíblos (βίβλος), meaning “book.” So the Bible is, quite simply, The Book. However, take a step further back and the same Greek word also means “scroll” or “parchment.” Of course, the first words of Scripture would have been written on parchment, and then copied to scrolls, then those scrolls would be copied and distributed and so on. It is thought the word Biblos itself is likely taken from an ancient seaport city named Byblos. Located in modern-day Lebanon, Byblos was a Phoenician port city known for its export and trade of papyrus. Because of this association, the Greeks likely took the name of this city and adapted it to create their word for book. Many familiar words such as bibliography, bibliophile, library, and even bibliophobia (fear of books) are based on the same Greek root word. How Did the Bible Get That Name? It is interesting that the Bible never refers to itself as “the Bible.” So when did people start calling these sacred writings by the word Bible? Again, the Bible is not really a book, but a collection of books. Yet, even the New Testament writers seemed to understand that the things being written about Jesus were to be considered part of Scripture. So even then there was something unique about the words being written, that these were the words of God, and that the words of God were subject to being tampered with and manipulated. The collection of these writings, including the New Testament, were first called the Bible somewhere around the fourth century in the writings of John Chrysostom. Chrysostom first refers to the Old and New Testament together as ta biblia (the books), the Latin form of biblos. It was also around this time that these collections of writings began to be put together in a certain order, and this collection of letters and writings started shaping into the one-volume book that we are familiar with today. Inside your Bible is a collection of sixty-six unique and separate books — writings from different times, different nations, different authors, different situations and different languages. Yet, these writings compiled over the period of 1600 years all weave together in unparalleled unity, pointing us towards the truth of God and the salvation that is ours in Christ. The Bible undergirds much of our classic literature. As a former high school English teacher, I found authors such as Shakespeare, Hemingway, Mehlville, Twain, Dickens, Orwell, Steinbeck, Shelley, and others difficult to fully grasp without at least a rudimentary knowledge of the Bible. They frequently alluded to the Bible, and the language of the Bible is deeply embedded in the thoughts and writings of our history and culture. Speaking of books and authors, it is important to note that the first book printed on Gutenberg’s printing press was a Bible. That was in the 1400s — before Columbus sailed the ocean blue and a couple hundred years before the American colonies were established. The Bible continues to be the most printed book today. Although it was written long before the English language had come into existence, the life and language of English speakers have been forever impacted by the phrasings of the Bible. According to the most recent research conducted by Barna in 2017, 87% of American households own a Bible. But the question is, how many people are reading it? Like a lot of people who grew up in church and stayed around, I have accumulated several Bibles over the years. I still own my first “real” Bible, a King James Version that I received in my 3rd grade Sunday School class. When I was young and feeling ambitious, I made the determined decision to read my Bible cover to cover. I stalled out somewhere in Leviticus and skipped to James, which seemed a bit more manageable and understandable. I bet I’m not the only one who has had this problem, and that is because the Bible isn’t really meant to be read that way. The Bible is truly more of an anthology than a novel, and it is much easier to read it as such. The lessons learned from the Bible are timeless, and the wisdom and salvation that it offered to people thousands of years ago continues to be just as powerful and just as relevant today and will continue to be so into the unforeseen future. The word Bible, over time, has grown to be associated with anything religious such a Bible-thumper or the Bible Belt. The word Bible also suggests an all-encompassing book that claims to be an authority on any given subject, such as The Woodworkers Bible, The Real Estate Bible, The Car Owners Bible, and others. Basically, calling something a Bible gives it an air of importance and meaning. That is because, through the centuries, there has been no other book seen as relevant, meaningful and authoritative as the Bible. What the Bible Itself Means. Many ancient biblical scrolls dating back thousands of years are still in existence today. From the discovery of the Dead Sea Scrolls and other ancient fragments of the Bible, we have confidence that the Bible we hold in our hands today is the same Bible that has existed for centuries. The words we read are the same as the words that were given to the original writers. That in itself is astounding. We now have access to the Bible everywhere: in print, on our phones, on our computers, the Word of God continues to be meaningful and so very relevant. 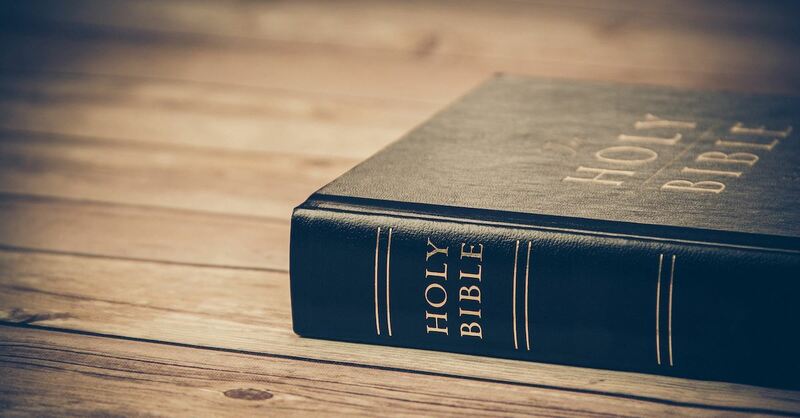 The fact that the Bible itself continues to be such a strong influence in today’s world is a testament to its timeless meaning and applications. The King James translators called it “that inestimable treasure that excelleth all the riches of the earth.” All these years later, this seems to be the most fitting description of what the Bible means.